Music Starts Here – an online resource created to educate and connect interested parties in the music and entertainment industries – hosted an informative and inspiring co-sponsored bill with The Sessions Panel on Thursday, August 18, 2016 at the W.O. Smith Music School in Nashville, Tennessee. 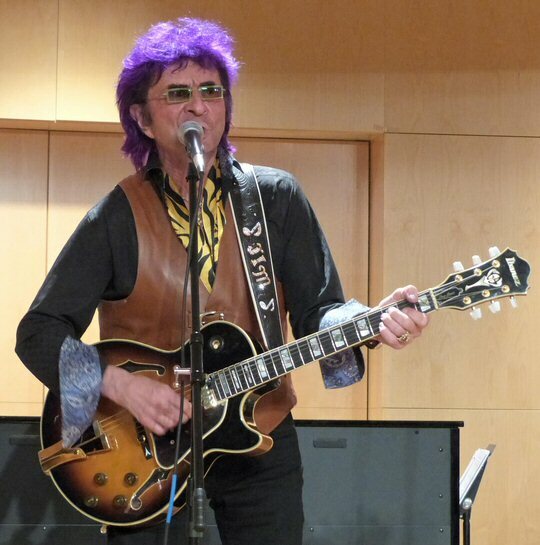 Rock legend Jim Peterik helped aspiring artists attain the eye of the tiger. 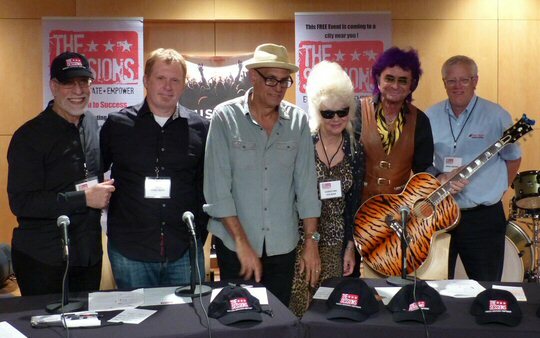 The high-powered panel included “Eye of the Tiger” co-writer Jim Peterik of Survivor fame, freelancer Dom Famularo, Saturday Night Live vocalist Christine Ohlman, ex-Billy Joel drummer Liberty DeVitto, entertainment lawyer Paul Quin, music business coach Rick Drumm and artist relations manager Rick Dejonge. The Sessions is the brainchild of author/photographer Jules Follett. Her Sticks ‘n’ Skins is the world’s premier photojournalistic essay on drummers and their unique world. While creating the book Jules kept hearing stories about artists who did not get their fair share of the financial rewards from some of the most successful recordings in which they were involved. This powerful and interactive panel presentation was born out of that need to help develop a foundation for a successful career in the entertainment business for musicians. The panelists for this edition included world famous musicians and industry insiders who gathered to guide the several hundred aspiring musicians in attendance with a program designed to enrich, educate and empower. The afternoon into evening meeting kicked off at 4 p.m. in Nashville with a focus on helping artists identify their message while fine-tuning their brand. The changing nature of the industry was addressed when entertainment lawyer Paul Quin visually and dramatically portrayed the pitfalls and reality of being signed to a major label deal back in the day. He explained in the current marketplace that it is no longer an option for most acts, but that’s okay, because it is now possible to do a large portion of the work independently of the corporate structure. However, it still is important to seek partnerships with existing distribution networks to tap into that realm of expertise. Special guest-speaker, Grammy-award winning Jim Peterik, told the audience that his definition of success is “doing what you love”. His advice included to be ready for success when it comes and to listen to the universe. Longtime Billy Joel drummer Liberty DeVitto explained that it took him awhile to realize the real financial rewards comes from songwriting and that’s something he’s now pursuing more diligently since being unceremoniously dismissed from the piano man’s band a decade ago. Christine Ohlman, Marc-Alan Barnette, Liberty DeVitto and Future Man in Nashville. 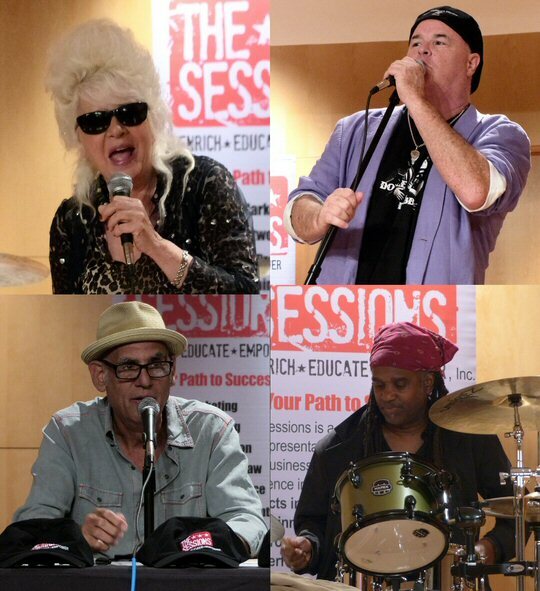 The Sessions and Music Starts Here presented a powerful and interactive seminar that lived up to its advance billing. The unique event helped artists to sharpen their music business skills while pursuing excellence in their careers. This free seminar provided priceless and invaluable guidance on marketing, networking, artist relations, self-promotion and entertainment law in a friendly and nurturing environment. One of the best lessons was the ability to watch the musicians practice what they preach. Following a generous pizza party an all-star jam session concluded the event. Local drumming sensation and member of the Flecktones Future Man was on hand to provide the backbeat while the panelists played a number of selections including the beloved title song from the Hollywood blockbuster Rocky III. All of the artists were approachable and engaging proving that rock stars – at the end of the day – are really just people, too. The music continued with audience participation as attendees took the stage to strut their stuff. Nashville icon Marc-Alan Barnette soared on “(She’s) Some Kind of Wonderful” with help from some of the students and teachers at W.O. Smith. 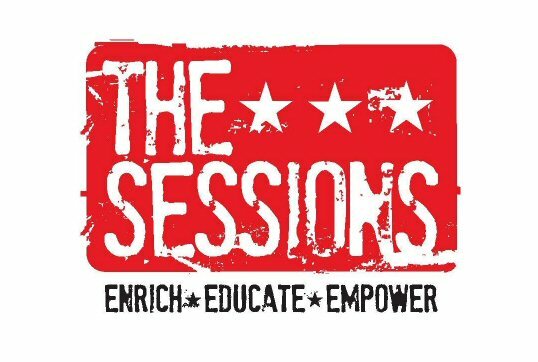 This version of The Sessions was so successful that it was announced from the podium that there will be a return to Music City next year – so, mark your calendars. Since 1984, W.O. Smith Music School has introduced the world of music to thousands of deserving children in Nashville. The education center makes affordable, quality music instruction available to children from low-income families with the goal of transforming lives through music. As of 2016 classes and lessons are fifty cents each provided by volunteer teaching artists who are community members, local performers, studio artists and university students with a passion for sharing their musical gifts. The Session Panel provided high-power industry consultation in Nashville.